A Colorado mom who miraculously survived after she was trapped in her totaled car for at least six days propped up a red and white umbrella against the side of the car in a desperate call for help. Kristin Hopkins, a 43-year-old single mother of four, went missing on April 27. Good Samaritans spotted her overturned Chevrolet Malibu on Sunday. 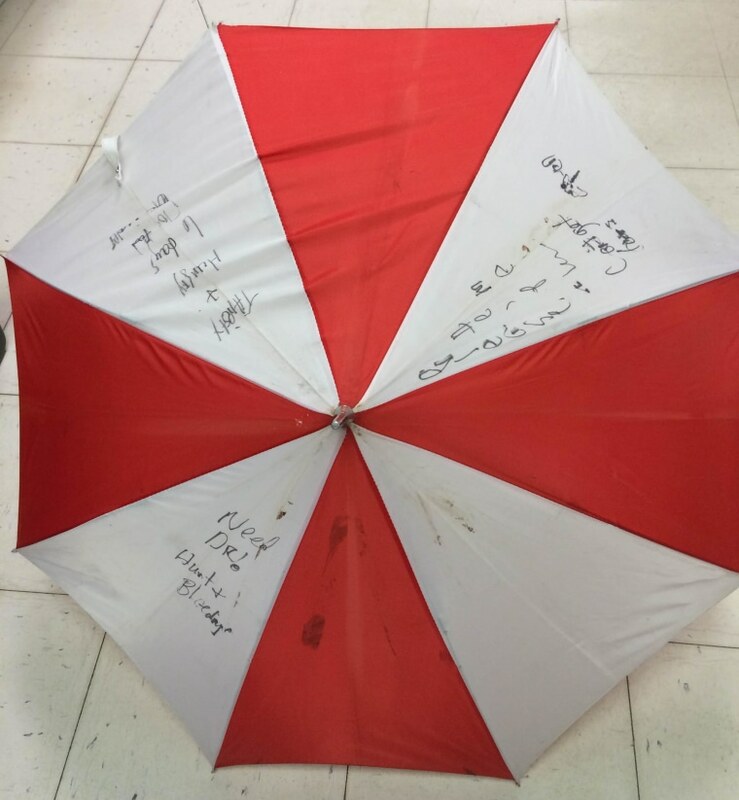 The woman had scribbled SOS messages with a marker on the umbrella. "Please help me. Can't get doors open," one panel read. "Thirsty & hungry 6 days no food or water," read another. Hopkins also wrote,"Need [doctor]! Hurt & bleeding." The Jaws of Life were used to pry Hopkins from the heap of twisted metal and she was flown to a hospital, where doctors found they would have to amputate both her feet. But she's alive — an outcome that police said they could scarcely have imagined. Most people wouldn't have lived through the plunge, much less the frigid nights with no food or water, they said.